Soooooooo many sellers getting their properties ready to go on the market right now. I can tell that June is going to be a VERY busy month. I know I have three listings whose sellers all want to go “live” during the first week of June. I will definitely be taking the upcoming long weekend to rest up and hopefully my clients will be able to squeeze in a little fun as well while they really dig in to getting their homes “show” and “offer writing” ready! The National Association of Realtors just shared the timely infographic of advice below on how to stage and style a home on a budget. So many great ideas that are both affordable, simple, and impactful when presenting your home to prospective buyers. Make sure your curb appeal is all it can be… weed the gardens, mow the lawn, tidy up the mailbox, mulch the beds. You want a nice clean presentation as buyers pull up the drive way. Once inside, a good cleaning and some fresh paint really go a long way. If you have pets, make sure buyers don’t see or smell traces of them. Some buyers will turn around and walk right out if animals aren’t their cup of tea or if they have allergies. Clear out as much furniture as possible keeping only those pieces that truly help to define the room. When placing furniture, try to keep corners clear as this will help to give the room a more open spacious feel. (Lighting in the corners also will help with that.) Speaking of lighting, if you don’t have over head lights, make sure to have lamps to give off ample “glow” – especially for evening showings. You don’t want buyers calculating how much it would cost to have an electrician come in to wire for more lights in the ceiling. And, yes, get rid of the clutter and “stuff”. You want buyers to feel relaxed and want their eye to continue traveling around a room or space. If you have committed to selling, you have committed to moving so just start packing!! Clear off those kitchen counters and bathroom counters. It is so important that both of those spaces appear clean and neat. Toothbrushes, toothpaste, combs, brushes, medicine, etc. should all go neatly under the sink or in a drawer. Spice racks, coffee pots, mixers, toaster ovens, etc. should be removed from counters to show off the space in a kitchen. (I suggest having a laundry basket handy for showings so you can load all of the extra “stuff” into it and then take it along in the car with you.) 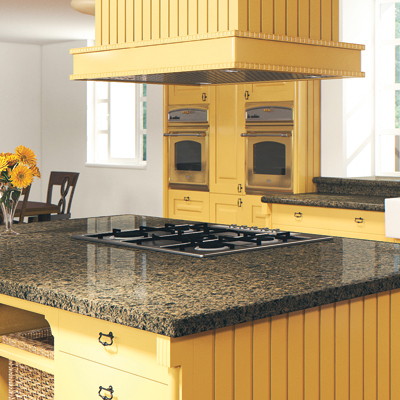 Fresh fruit and fresh flowers are great for livening up a kitchen with color. Ultimately, you need to look at your home with Buyers’ eyes. Be critical because buyers will be for sure! Check out listings on-line and see how you feel about the rooms presented in the photos. Take your own photos of the rooms in your home – do they look open and spacious or is your focus drawn more to the “things” scattered around the room. People love to blow up pictures on their computer screens so background details matter. And if you are thinking about selling, always feel free to contact me for a consultation on things to do around your home as well as what your home would be worth in the current real estate market. Call/text 508-930-5259 or e-mail me at jen.mcmorran@gmail.com. 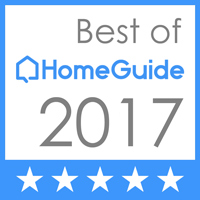 I really enjoy helping and working with you to decide on the best solutions to capture buyers’ attention to sell your home. 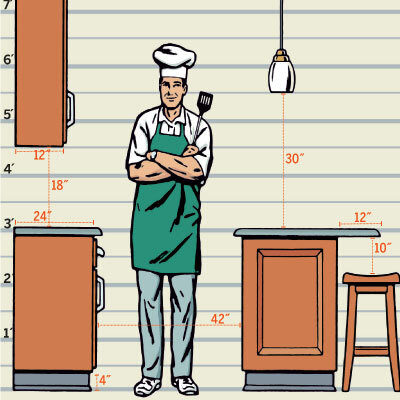 Kitchen Remodel Step 1 – Read this!! by Josh Garskof from This Old House Magazine. M ake sure to take a quick read through it all as he highlights important considerations and gets you thinking about the entire kitchen remodel process! Jot down some important notes then start to plan out your kitchen makeover. And definitely have your notes handy when you meet with a designer or contractor. There are 33 pages to click through… click them all! So many good ideas on budgets, how to phase your projects, what can be done with blind corners, ways to save money on cabinets, comparing drawers verses roll-out shelves, cook tops, ranges, refrigerators, dishwasher styles, faucets, sinks, countertops, flooring, and more. Trust me… not only will you be armed with more information but you will also come up with more questions to ask. Because I am all about value, saving money, and planning, see below for a taste of what is included in the full article at This Old House Magazine… 1)What features are worth splurging on and 2)How to phase your project if you can’t afford to do it all right now. 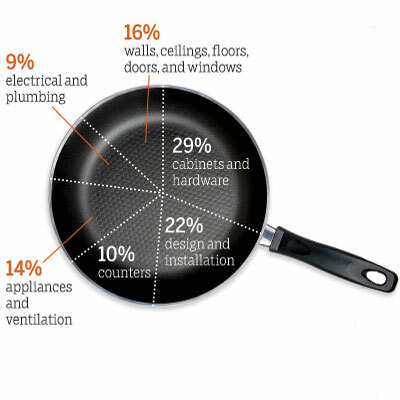 What kitchen splurges make the most cents? 1) Second sink: Place it outside of the main cooking and cleanup zone so that a second chef can prep food, wash hands for dinner, or bartend during parties. 2) Paneled cabinet ends: These decorative panels, which are essentially oversize doors fixed to any exposed sides of cabinets, give your kitchen a custom-built, furniture-like look. 3) Full-extension, soft-close drawer glides: Installed under or on the sides of a drawer, they allow it to pull completely out of the cabinet so that you can reach everything inside. Plus, they eliminate slamming. 1) Glazed, distressed, and crackled finishes: These can increase cabinet costs by as much as 30 percent and can start to look dated as trends change. 2) Pot filler: It does make filling the pasta pot easier, but it doesn’t help with the far worse task of carting boiling water to the sink when your fettuccine is done. 3) Wine fridge: Do you really need 18 bottles of Pinot within arms reach and kept at precisely 55 degrees? Do it in phases. Don’t compromise. 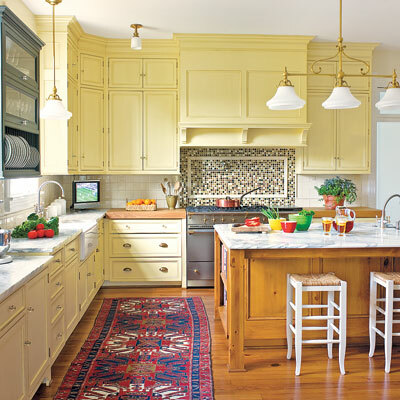 Layout: This is the time to open the floor plan, add the island, and rearrange the flow. Infrastructure: Get the framing, subfloor, windows, plumbing, and electrical right or all those new finishes and appliances won’t perform as expected. Cabinets: Go for quality construction, premium glides and hinges, and as many cabinets as you can afford. Countertops: Conventional wisdom may say to phase-in upscale countertops, but demoing the old and installing new can damage your cabinets and plumbing. New appliances: Unless you’re changing their size or configuration, your old range and fridge will work just fine until you get your next tax return. Pricey light fixtures: Throw in cheap placeholders while you’ve got the electrician on hand. You can easily replace lights yourself once the wiring’s complete. Splurge-worthy faucet: You can get a decent one for less than $75 that’ll tide you over for months or even years. Just make sure the drill-outs in your countertop match the configuration of your future faucet. Backsplash: Paint the walls above your counter with a scrubbable semigloss to protect them while you save up for that glass mosaic. Holding off also gives new cabinets time to settle, thus preventing grout and caulk problems at the seam where the backsplash meets the counter. Don’t forget to check out all of the other information in This Old House Magazine – relevant for homes and homeowners of all ages! !